William Clark inherited York from his father and York accompanied Clark on the Lewis and Clark Trail journey.
" ... passed a projecting rock on which was painted a figure and a Creek at 2 ms. above called Little Manitou Creek, ...passed a Small Creek on L.S. opposit a verry bad sand bar of Several Ms. in extent, which we named Sand C, here my Servent York Swam to the Sand Bar to geather greens for our dinner". 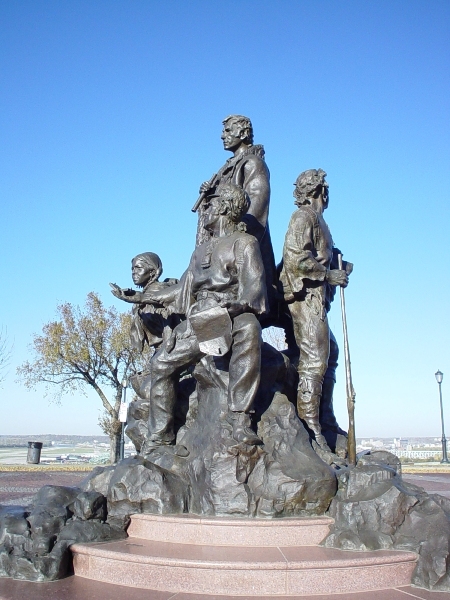 As the Corps proceeded up the Missouri River and entered Native lands, York's role in the expedition grew and his popularity among the Indian Nations became apparent. On October 9, 1804 near present day Mobridge, South Dakota among the Arikara Tribe Captain Clark writes: " many Came to view us all day, much astonished at my black Servent, who did not lose the opportunity of displaying his powers Strenght. this nation never Saw a black man before". During the Corps encampment near the Arikara Village the people flocked around York; October 10, 1804: " Those Indians wer much astonished at my servant, they never Saw a black man before, all flocked around him & examind him from top to toe". October 28, 1804: " we made up presents and entertained Several of the Curious Cheifs whome, wished to see the Boat which was verry curious to them viewing it as great medison, as they also Viewed my black Servent". During their winter stay at Fort Mandan the Expedition often entertained the villages with dancing and fiddle music; January 1, 1805: " I found them much pleased at the Danceing of our men, I ordered my black Servent to Dance which amused the Croud Verry much, and somewhat astonished them, that So large a man should be active". Traveling through present day Montana York's color was utilized by Lewis to keep the attention of the band of Shoshones while waiting Clark's arrival. August 15, 1805: " I told Cameahwait that I was sorry to find that they had not put so little confidence in us, that I knew they were not acquainted with whitemen and therefore could forgive them" ; August 16, 1805: " told the Indians that we had a man with us who was black and had short curling hair, this had excited their curiossity very much. and they seemed quite as anxious to see this monster as they were the merchandize which we had to barter for their horses". York was given the right to vote (Station Camp) on November 24, 1805, as to the location of where the Expedition would build their winter quarters. 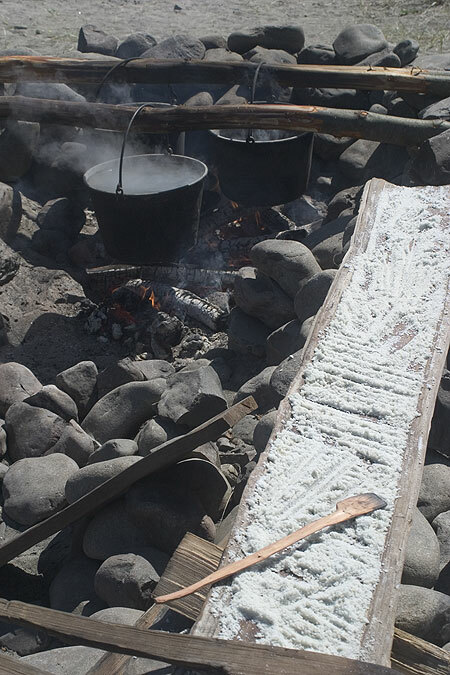 Majority voted to cross the Columbia River and look for a site that would provide hunting, salt-making, and possibly await the arrival of a trading vessel. York asked Clark to grant him his freedom as payment for his services which was denied. On January 17, 2001, President Clinton recognized 'Undaunted Courage' and posthumously honored three members of the Lewis and Clark Corps of Discovery in recognition of their courage and contributions to the nation’s history. President Clinton presented the title of Honorary Sergeant, Regular Army to York. York was the first black man to cross the continent, and although relatively unknown, was instrumental in the success of the exploration.